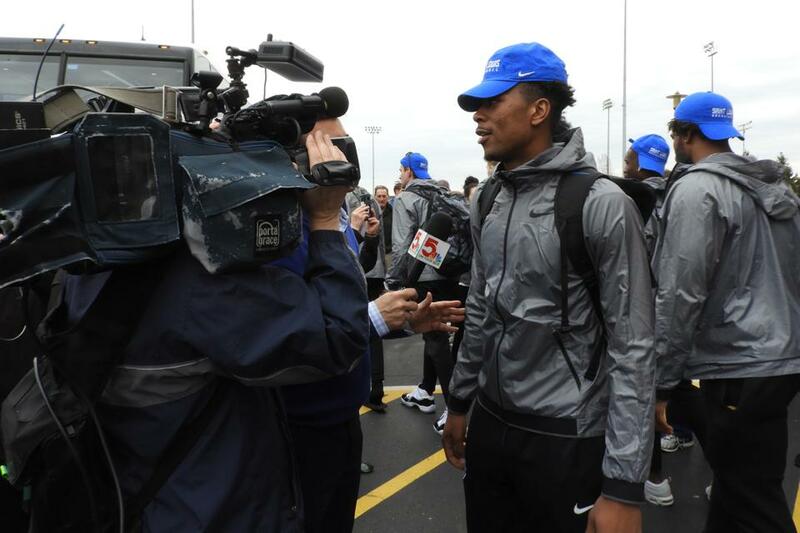 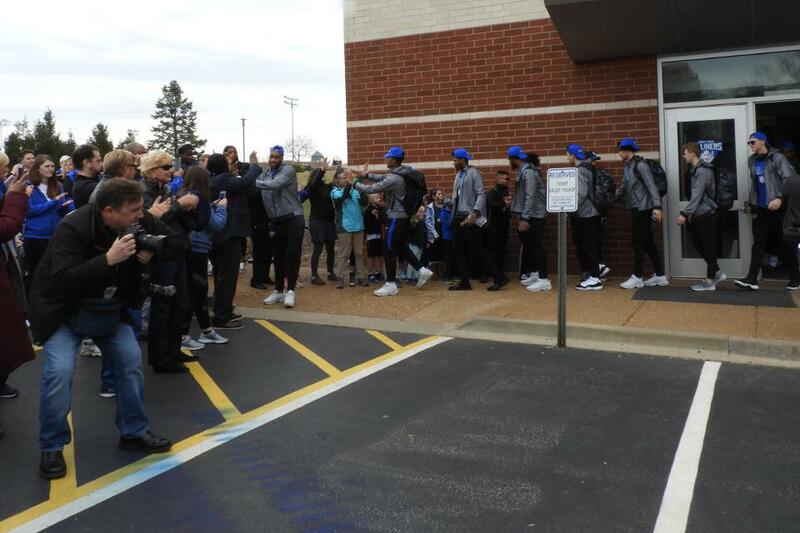 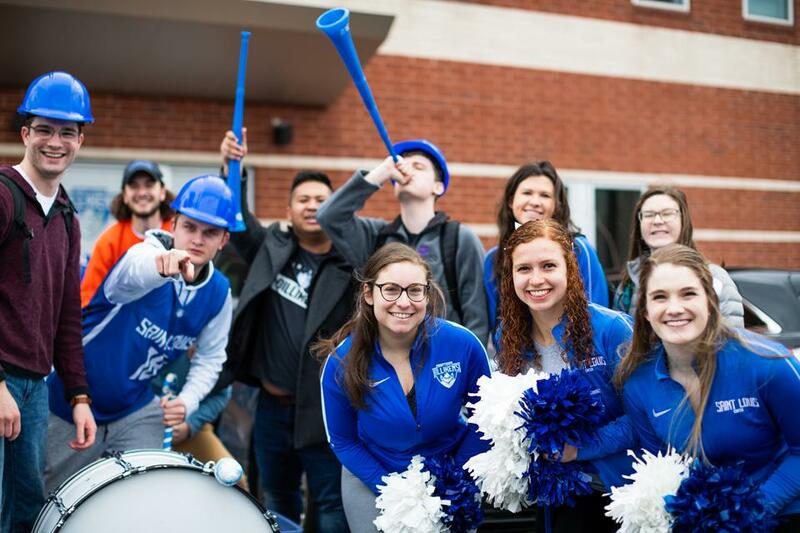 The Saint Louis University community sent the men’s basketball team off in style Tuesday to the 2019 NCAA Tournament. 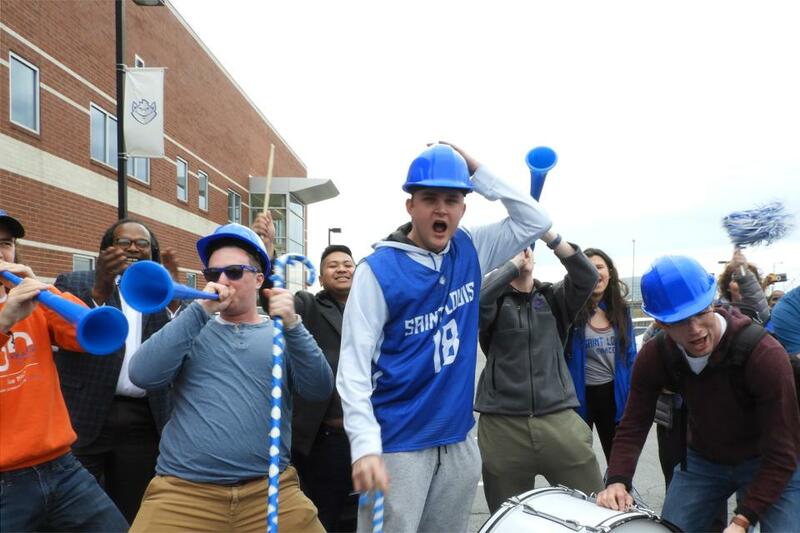 Well-wishers gathered at Chaifetz Arena to see the team off to its first-round game in San Jose, California. 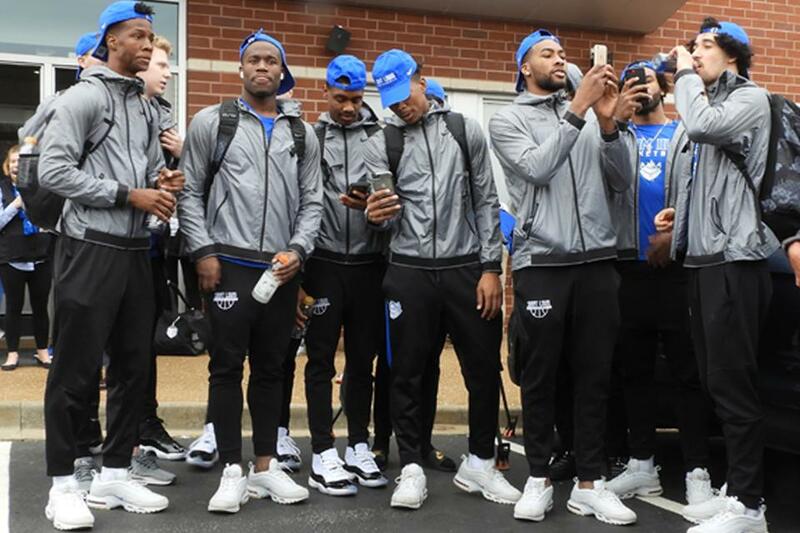 "We go out every game, every day, every practice and we're playing for this university and we're playing for the city of St. Louis and that means a lot to us," said Head Coach Travis Ford. 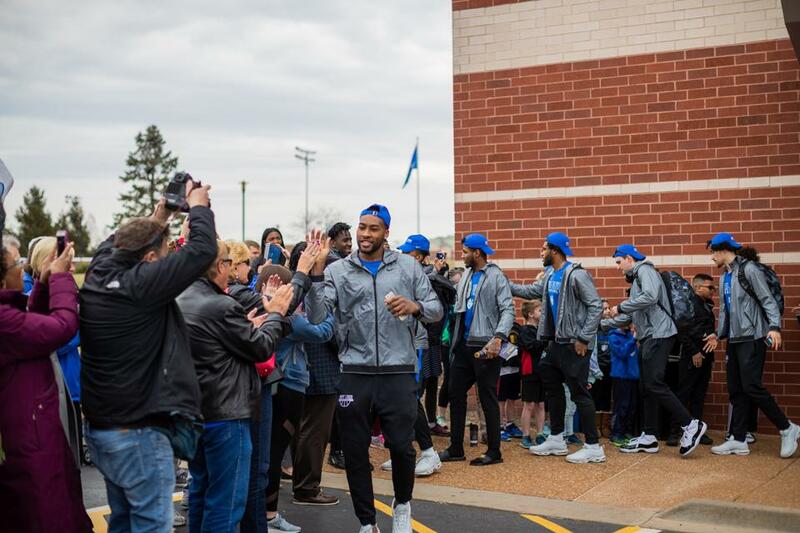 The men's basketball team engages with SLU community before heading off to the first round of the NCAA Tournament. 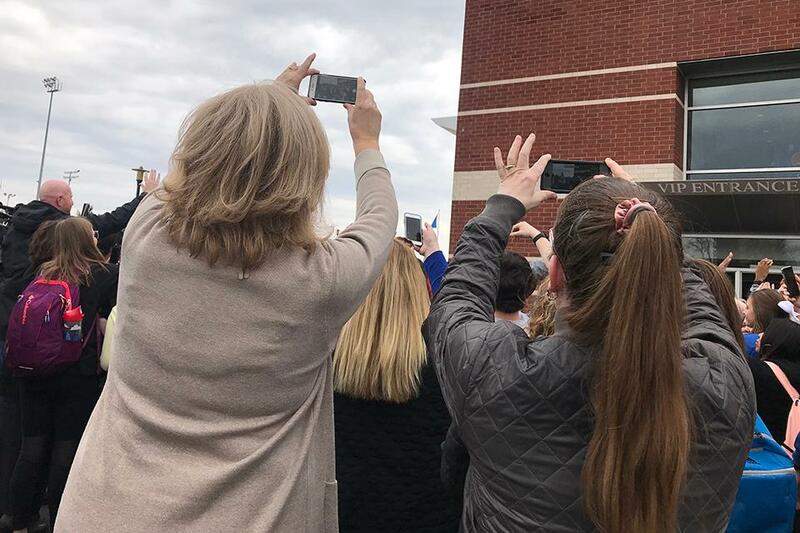 Photo by Garrett Canducci.